This is most popular and enchanting rafting river in Nepal which is easy to access from Kathmandu and Pokhara will let you an opportunity to experience and to explore river rafting of Nepal. 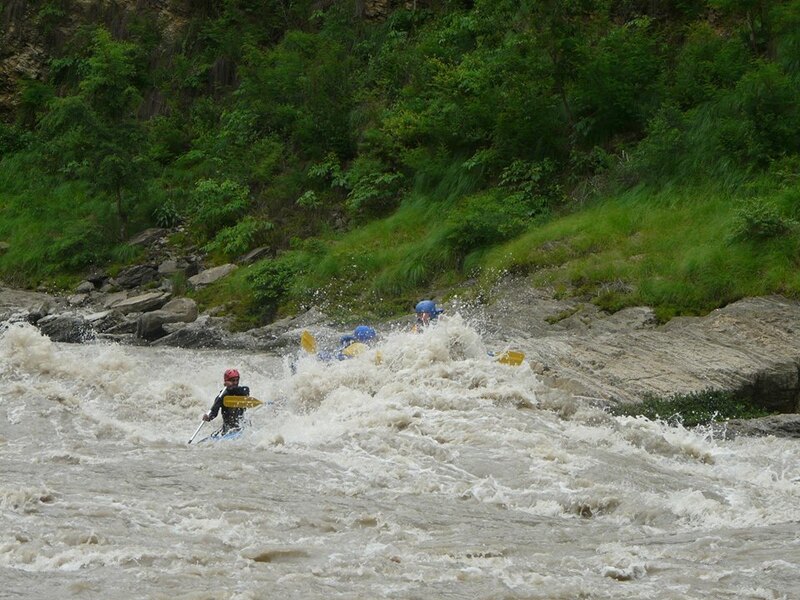 It is the most popular and enchanting rafting river in Nepal which is easy to access from Kathmandu and Pokhara. During the monsoon, rafting in this river is one of the most exciting activities you can do in Nepal. This rafting trip offers you scenic villages, attractive gorges, exhilarating rapids and easier sections of river for swimming and relaxing. Day 1 :Kathmandu to approx 3 to 4 hours drive to starting point Charaudi 85 k.m. This trip hitting a few class 2 or 3 rapids called “LADISE DELIGHT” and stop for the lunch. After lunch white water hit a class 2 to 3 rapid called “UPSET” and “SURPRISE” At Fishiling stop and have hot Tea/Coffee with snacks. At about 6:00 p.m. at the camp take the dinner. Day 2 :Around 6:30 in the morning wake up Tea and Breakfast quick pack-up and set our (approx 8 to 9 a.m.) run white water hit a class 2 or 3 rapids “BIJILI RAPID” and “TEA POT” and stop for the lunch. After that raft is going to take out point Simental and drive back to Kathmandu / Pokhara / Chitwan.